Listen Up! In 3 Steps. Be Known for Something : Discover Your Church Communication Thread / Business Essentials / Listen Up! In 3 Steps. Why is it so hard to find people that want to listen? If you’re anything like me, it’s rare to find someone who wants to listen. Often when I spend time with someone, I enjoy asking them questions and sharing about what they find interesting. I really like people! But it’s rarely reciprocated. I’ve spent hours with friends and find that the art of a dialog is sadly lacking. Dialog is a conversation back and forth between two people who are interested with each other. The same can be said about people in business. And when there’s a need; there’s an opportunity. There is a huge difference from talking to an “order taker” or consultant; and someone who truly cares and listens about your issues. I think we can all think about suppliers we deal with regularly. Want to become a good entrepreneur? Listen. You have 2 ears, and only one mouth. Listen twice as much as you talk. Process. Every entrepreneur wants to solve the issues. But resist coming up with the solution quickly. Instead, ask clarification questions. Then, if needed, request time for processing all the information and facts. Care. Put yourself in the shoes of your clients. Treat them as you want to be treated. Really care about them. This is often the missing part. It’s the difference between a good and great relationship. When someone runs a business, it’s to offer a valuable service to a targeted audience. If you aren’t willing to listen to them (really listen!) then you aren’t worthy of a successful business. Just like friends aren’t worthy of a good relationship if they don’t follow these steps with their friends. 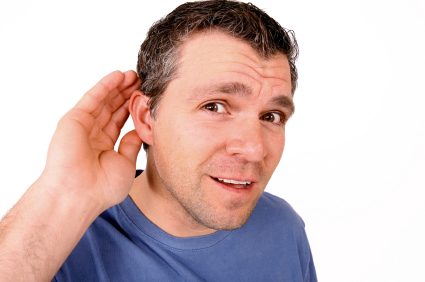 Practice your listening skills, you’ll be surprised what you’ll learn that will convert to great business practices. Your friendship will deepen and in the long run, you’ll see the benefits of getting close to your audience.